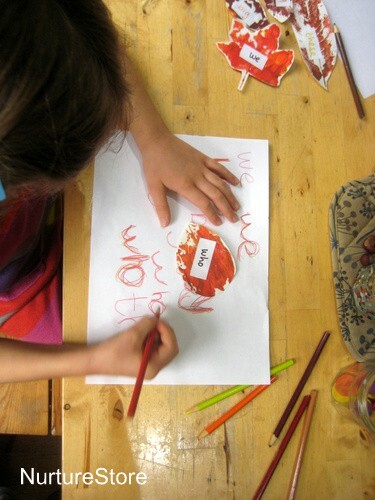 Here’s another way to bring lots of sensory activities to our lessons: we’re using rainbow writing to learn spellings. When we’re learning anything it helps to keep it fun and use as many of our senses as we can. 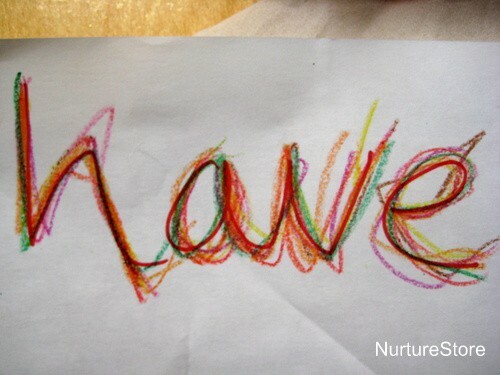 This technique of using rainbow writing is one of the many multi-sensory approaches we use to learn spellings. Rainbow writing brings together different sensory ways of learning, making it suitable for lots of different learning styles. 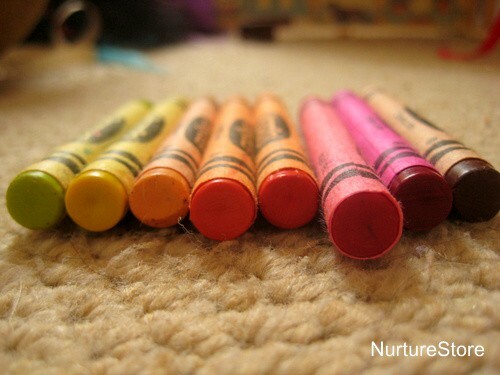 :: we get to repeat the word, as we use all the colours in our rainbow to practise, practise, practise. A set of coloured pens, pencils, crayons or chalk: you can use all the colours of the rainbow, or make a seasonal selection. We’re using autumn colours this month. A surface to write on: paper, chalkboard, easel, floor outdoors in your garden. It can help to have the space to write the words much larger than you would in normal writing. Some words to practise: we’re using some of the words from our fall leaf word tree. You can write out the word first for your child, particularly if you are also working on correct letter formation, or let them write it themselves. 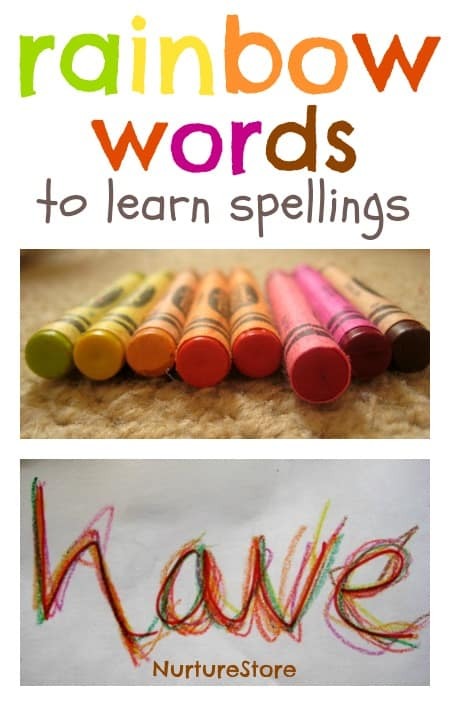 Then you just need to write over the top of the word, using each of your rainbow colours in turn. Don’t forget to say the word out loud each time (sing it if you like!) so you get to hear it too. This technique works for beginners who are just learning to write their first letters, and for older learners who are working on more complex vocabulary. To add even more “feel” put needlework plastic under the paper.